BMW Motorrad’s instrument panel is getting an amazing new interface. Let’s see how it compares to the old school clusters. They say competition is healthy. 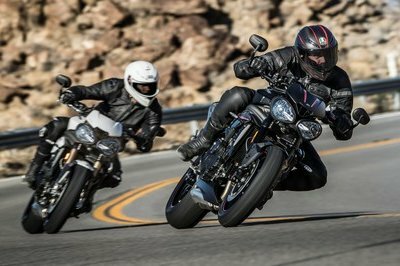 It brings the best out of each and everyone in the race and luckily for us, automotive manufacturers are looking for more than just brute power and performance to give the rider an experience he would never get elsewhere. The race to the top is getting more fearsome every passing day and the manufacturers are pulling out every little trick they have up their sleeves to make their product stand out from the rest. BMW Motorrad is at the forefront of imagination, innovation and technology and proof of that is their latest instrument dashboard on their new generation motorcycles. Made up of a newfound technology known as the thin-film-transistor liquid-crystal display (TFT LCD), the unit provides in for a far more intuitive rider interface that improves image qualities such as addressability and contrast compared to the standard LCD displays. Although this piece of tech is not brand-new and is made use by almost all motorcycle manufacturers these days on their high-end bikes, BMW here thinks that they have got the best package available via the unique operating concept of the new Connectivity option. It features a high-quality 6.5-inch full-colour TFT display that can also connect to your smartphone device via Bluetooth to enhance many possibilities for your ride. And we are here to decipher why it fares better than the LCD counterparts. The BMW R 1200 Hover Bike Concept - From Fiction to Reality? Motorcycles that take you to the black&white era. It all started in 1902 with an analogue speedometer that would have a needle, a gauge and some magnetic phenomena called Eddy currents that would move the needle around to measure the vehicle’s instant velocity. Fast forward to more than a century later, manufacturers started making use of LCD units to digitally display the speed along with the odo, fuel gauge, trip meters, temperature and other tell-tale signs we know of these days. 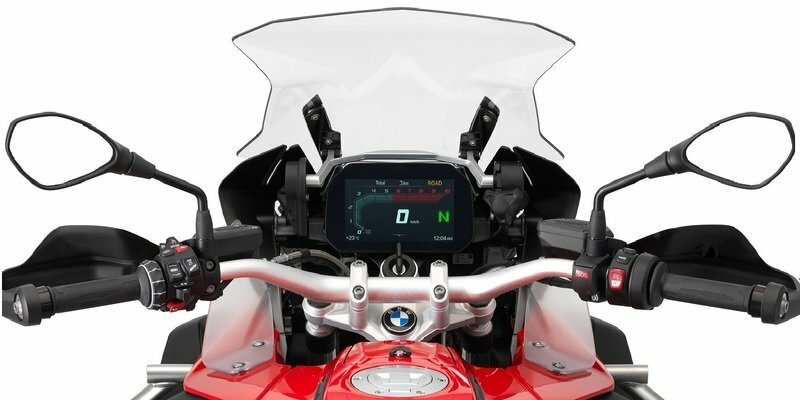 Today, as technology gains and riders demanding more information to be made available to them at any given time, we have the TFT displays that have begun to adorn all high-end motorcycles and one of them are the ones at BMW Motorrad. 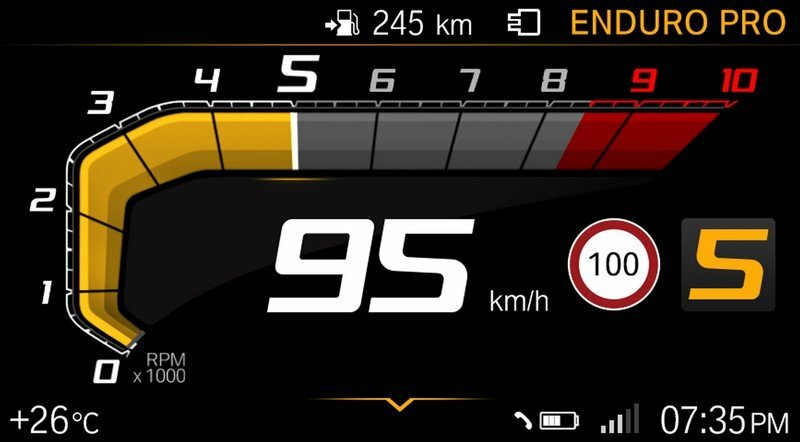 The engineers there have created a new Connectivity operating concept that provides “fast and clear information for the rider with the least possible distraction from what is happening on the road”. Starting with the brand’s 2017 R1200 GS models, BMW has been giving this piece of tech as an optional package whose default screen shows all the usual information like the speed, fuel et al., but is much more than just that. It gets an auto contrast adjust function that varies on the ambient light and has a low-reflection surface to make it more legible even when the sun hits it. When you access the dash you are taken to a sub menu that has five options – telephone, media, settings, navigation and my vehicle. The state-of-the-art display unit lets you adjust the ride settings of your BMW, and displays the necessary valuable information in an intuitive graphic display that is both easy to apprehend and fun to work around with your customisation skills. You can change your entire screen section to suit your taste rather than just a small section of it and make it dedicated for one singular function. For example, you can select to view your tyre pressure and the entire screen gets is taken up with this information. If you select a media file, the entire screen turns into a music player. 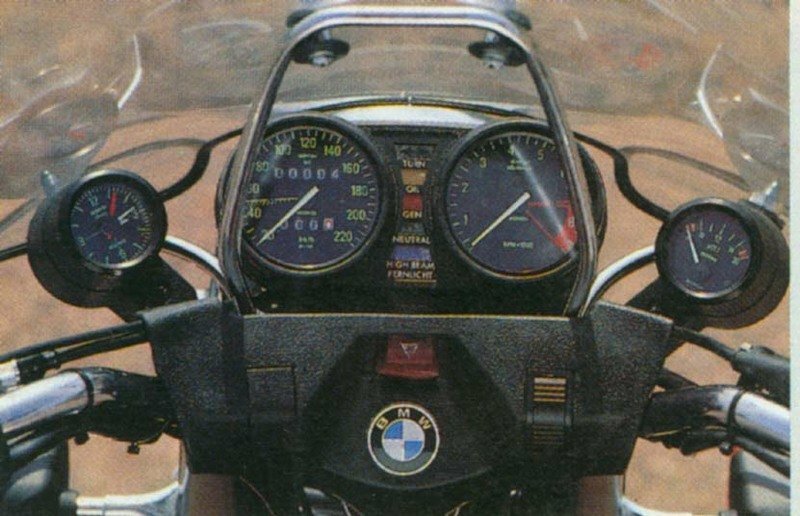 Even with all of this, BMW has made sure that the motorcycle’s speed and gear selected is always shown on the top of the screen even while the display is focussed solely on the requested task. With the main focus being minimum rider distraction and maximum functionality, the bike’s handlebar has a well-proven multi-controller wheel and up-down toggle buttons that take just a few seconds to learn and operate. With this at your fingertips, you can command the new Connectivity to have customised styles and access to the new onboard computer that gives all the information under the sun straight to the rider in an intuitive and fun way. BMW have ergonomically designed the display in such a way that the rider should be able to access the information he needs with minimum usage of the controller wheel and toggle switches. All this is made enabled for the rider to be able to quickly and easily navigate to his preferences even on the go and without taking his focus off the road, all only by muscle memory. This light sensitive TFT screen gives out clear and highly legible readings and can be wirelessly connected to your smartphone device and increase the functionality of the motorcycle’s instrumentation to a whole new level. The Bluetooth-enabled device can connect to your smartphone and let you adjust the ride settings of your BMW as well as tethering your phone’s operation to be operable from the onboard computer. The main function of linking your smartphone is the ability to access your phone’s contacts, call logs and dialler. One can easily navigate to a contact on your phone and make a call to that person on the go. Also, you can receive calls and return calls via BMW’s helmet-mounted Motorrad Communication system that comes with an earpiece and a microphone attached to your helmet. The caller’s details and the picture will be displayed on the screen. 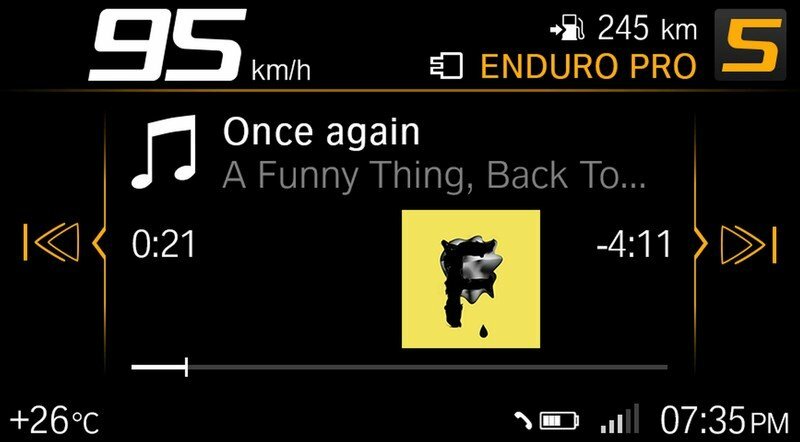 As for entertainment is concerned, the same device will allow you to browse through your music player in the smartphone and enable you to play your favourite track while you wind down on the mountain course. Media controls on the screen can let you toggle between songs. The display also gives you the name of the song, album and the album cover onto the screen. Neat. BMW has not bothered with accessing your messages or e-mails as they believe that is simply too much distraction for the rider, especially if he has to read long messages while riding as it is dangerous too. 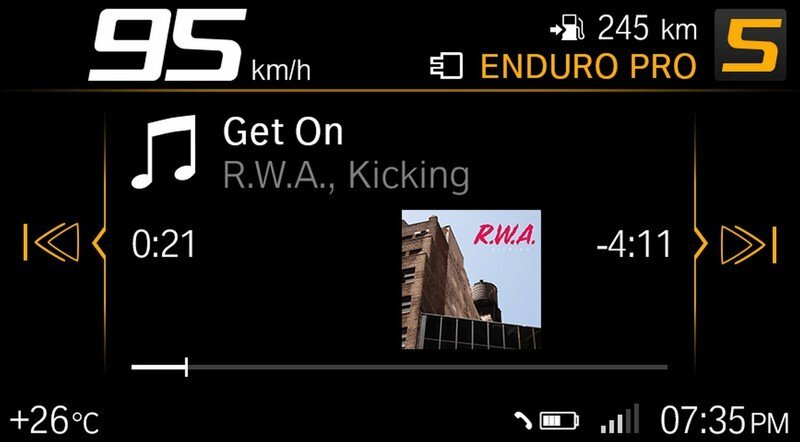 Although BMW has its own traditional standalone GPS navigation system, the company has developed a new Motorrad Connected App that connects the smartphone and the dash. It shows a rudimentary navigation system that shows you turn-by-turn arrow directions with precise turn indications including lane guiding. You can also record your ridden routes and display ride statistics and information onto your smartphone via this app. The system also saves your destinations and points of interests that can be called up on to the TFT dash. Although there is no full-blown map on the screen, a simple arrow indication charms those short route riders handling everyday rides. 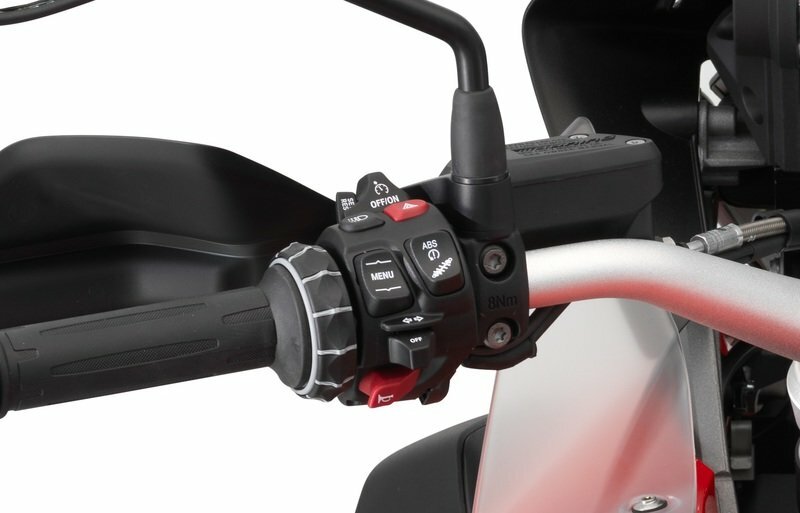 For those who still require the full version, can tether the BMW Motorrad Navigator above the TFT screen and can be configured to be controlled via the wheel and switch on the handlebar. Apart from all of this, the screen also displays the bike’s critical information like current and optimum tyre pressure, ambient temperature, service schedules, amongst other things. But the most important of all is its engine and vehicle diagnostic display which gives us warning displays and information such as low fuel reserve level reached or engine faults like low oil pressure and stalling. BMW Motorrad presents Connectivity optional equipment. Multifunctional instrument cluster with 6.5 inch full-colour TFT display offering a wide range of features. Providing fast and clear information for the rider with the least possible distraction from what is happening on the road – this is achieved with the unique operating concept of the new Connectivity option by BMW Motorrad featuring a high-quality 6.5 inch full-colour TFT display. Fast and safe information with the least possible distraction from the traffic situation. The rider can access motorcycle and connectivity functions quickly with a great level of comfort thanks to the advanced BMW Motorrad multi-controller and the integrated approach. In addition the new TFT display combines the familiar “classic” display of data such as rpm and speed with new technology thereby providing an enormous range of features. When developing the new TFT display, the BMW Motorrad engineers placed a major focus on designing all the rider interaction activities so as to keep rider distraction to an absolute minimum. BMW Motorrad is setting new standards in this respect as it was possible to find suitable display ideally suited to a large number of specific applications. The interaction activities can be regulated by the well-proven multi-controller. Using the phone and listening to music in comfort while riding. 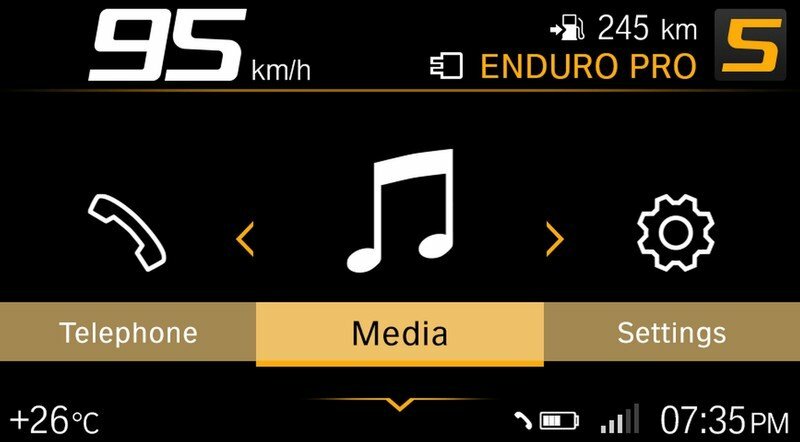 If the rider for example connects a smartphone and a helmet equipped with BMW Motorrad communication system using the TFT display, he can easily access the media playback and phone functions. These phone and media functions can be used without having to install an app. If a Bluetooth connection has been established with any standard smartphone, the rider can enjoy listening to music while riding. Of course the rider can also jump back and forwards in his music collection. 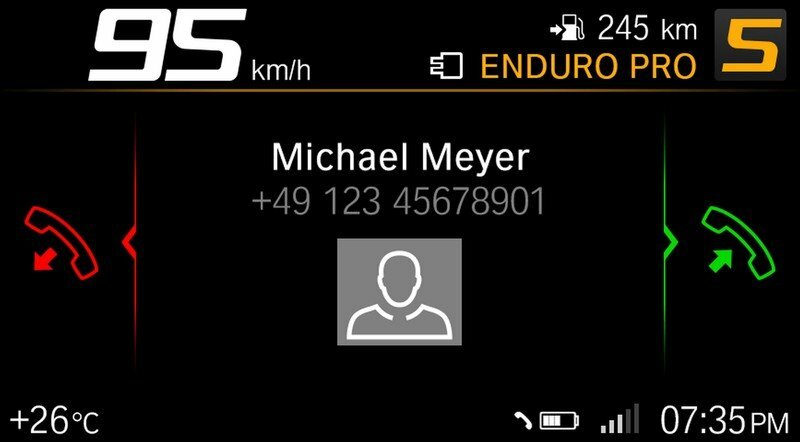 The rider can see all his smartphone contacts in the TFT display and can select and call contacts using the multi-controller. If there is an incoming call while on the road, the rider can quickly take or reject the call with a single tip of the controller. 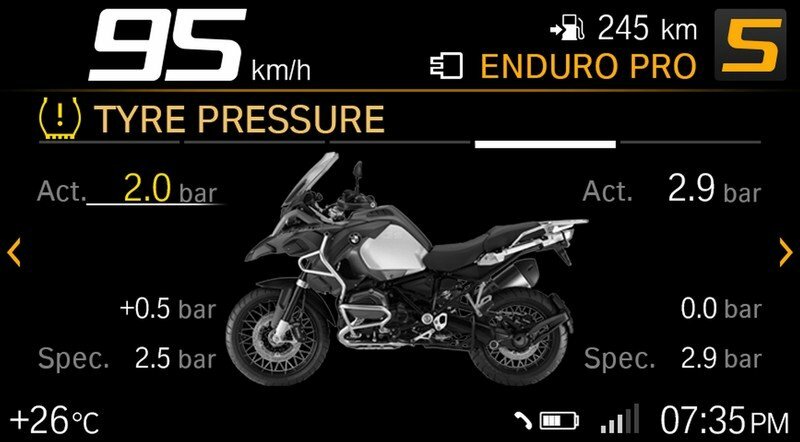 BMW Motorrad Connected App with practice-oriented arrow navigation and numerous additional functions. 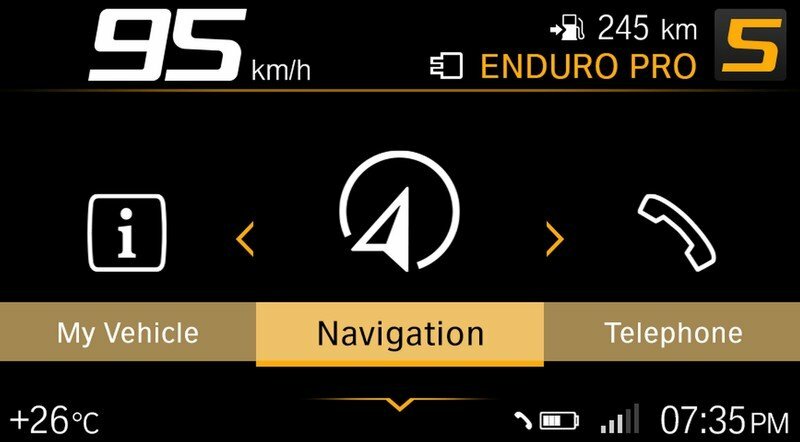 The free BMW Motorrad Connected App is a world first for motorcycles offering everyday-suitable and practice-oriented arrow navigation directly via the TFT display. 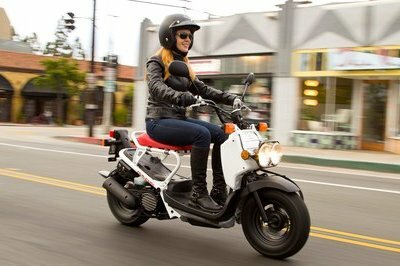 Both the navigation itself and the ability to access the app functions directly on the motorcycle represent a real stand-alone feature. 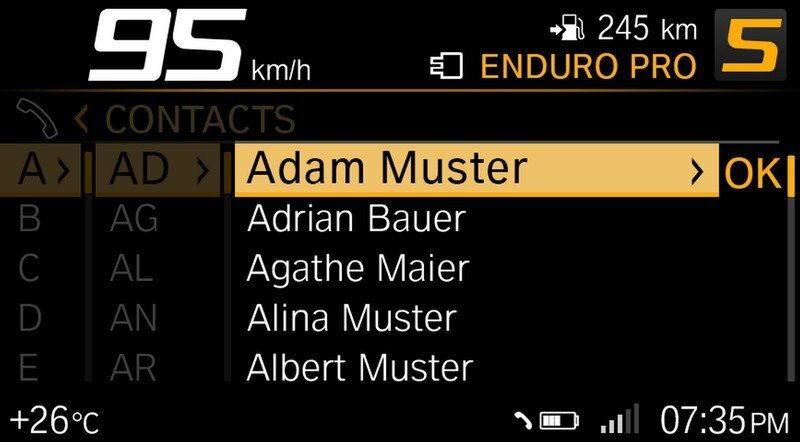 The BMW Motorrad Connected App also offers further features such as recording your ridden routes or displaying ride statistics and information. The arrow navigation in the form of turn-by-turn arrow directions directly in the TFT display and provides very precise turn indications including lane guiding. Last destinations or points of interest can also be called up directly using the TFT display. This basic navigation is especially interesting for motorcyclists who want to handle everyday riding or short trips comfortably without having to take any additional equipment along. 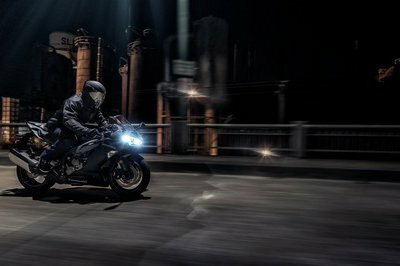 For touring riders with higher demands, the BMW Motorrad Navigator is still recommended since it provides specifically optimised navigation for motorcyclists and features the respective planning and routing functions. The Navigator is also operated using the multi-controller. The operating focus can be simply transferred from the TFT display to the Navigator. Integrated On-Board Computer PRO with numerous display and setting options. 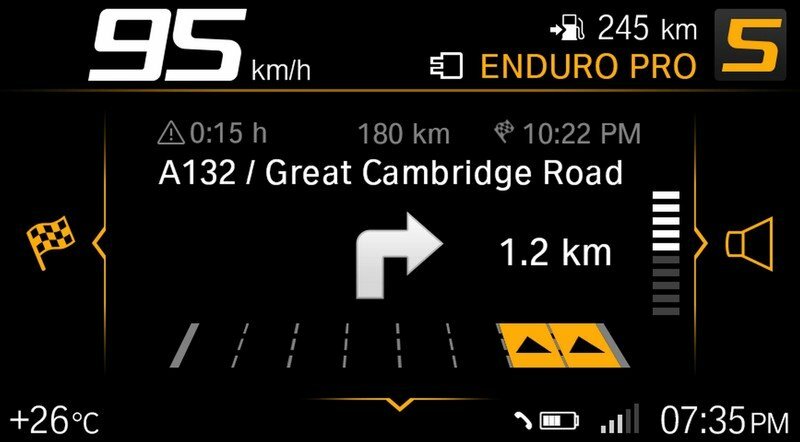 Apart from these comprehensive Connectivity functions, the new TFT display also displays ride-relevant information in an attractive and very clear manner. Here too, the BMW Motorrad multi-controller turns operation into a very easy task. The new TFT display also features the On-board Computer PRO with numerous display and setting options. The new TFT display offers state-of-the-art and simple access to the motorcycle settings and information. Intuitive information graphics display valuable information. In this way the rider can for example read the tyre pressure settings at the front and rear very simply without being distracted from the traffic situation. Not only the actual tyre pressure settings are displayed but also what tyre pressures are recommended in the respective situation. 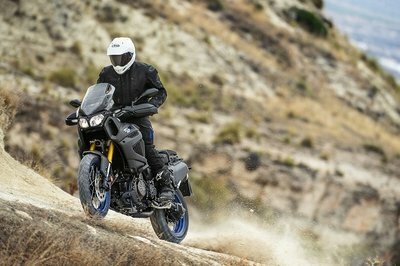 The new Connectivity option will be launched in autumn 2017 on the R 1200 GS and R 1200 GS Adventure.Further models will follow.